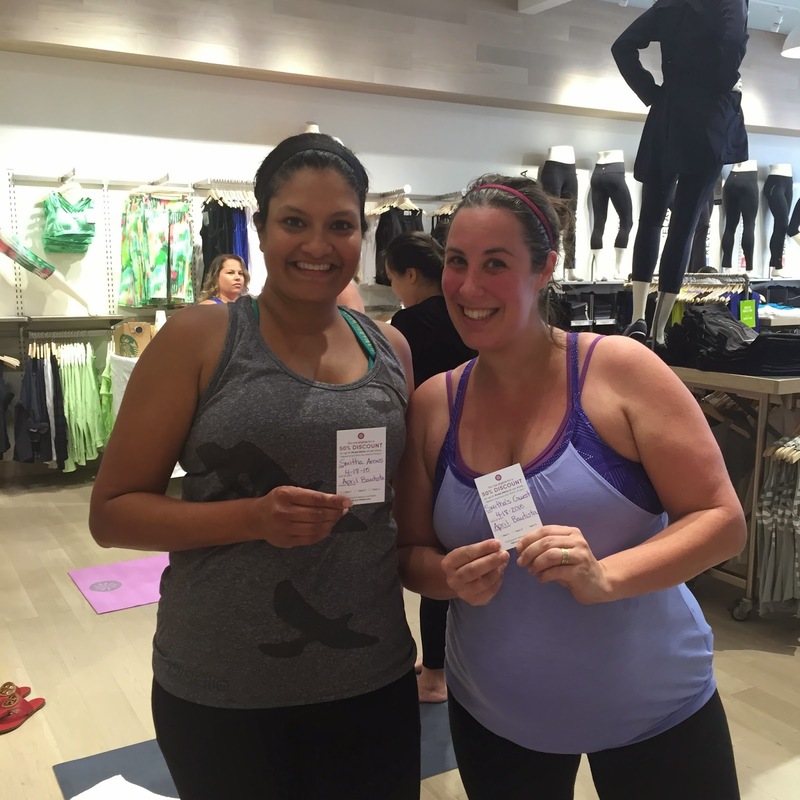 Running with SD Mom: Weekend Update: Athleta #PowerToTheShe Yoga & Shopping Event! 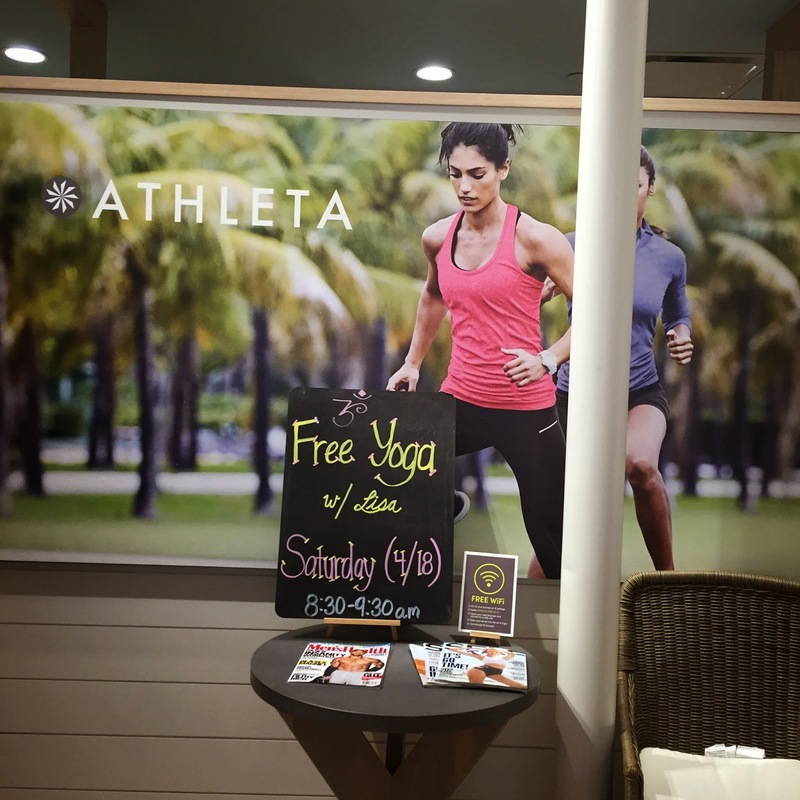 Weekend Update: Athleta #PowerToTheShe Yoga & Shopping Event! I have to tell you guys about my awesome weekend! 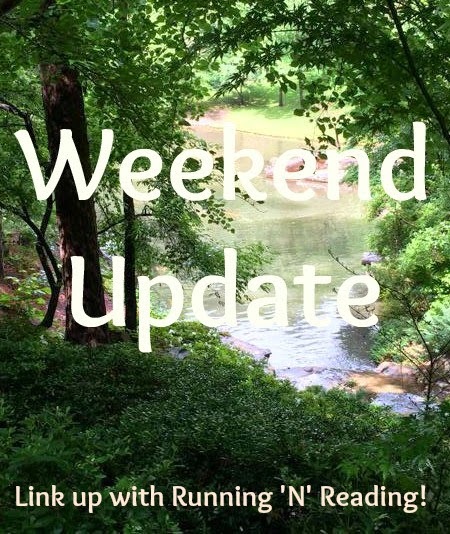 Well, maybe I should call this post Saturday Update instead but since I am linking up with Running n Reading's "Weekend Update", I will stick with that! I started out Saturday with a 6:00 a.m. 7 mile run with good friends. One I haven't seen in a while. Which is especially awesome because she is now 8 1/2 months pregnant and eating hills for breakfast like a champ! Any run I can rock the Spandits Peacocok skirt is a good one! 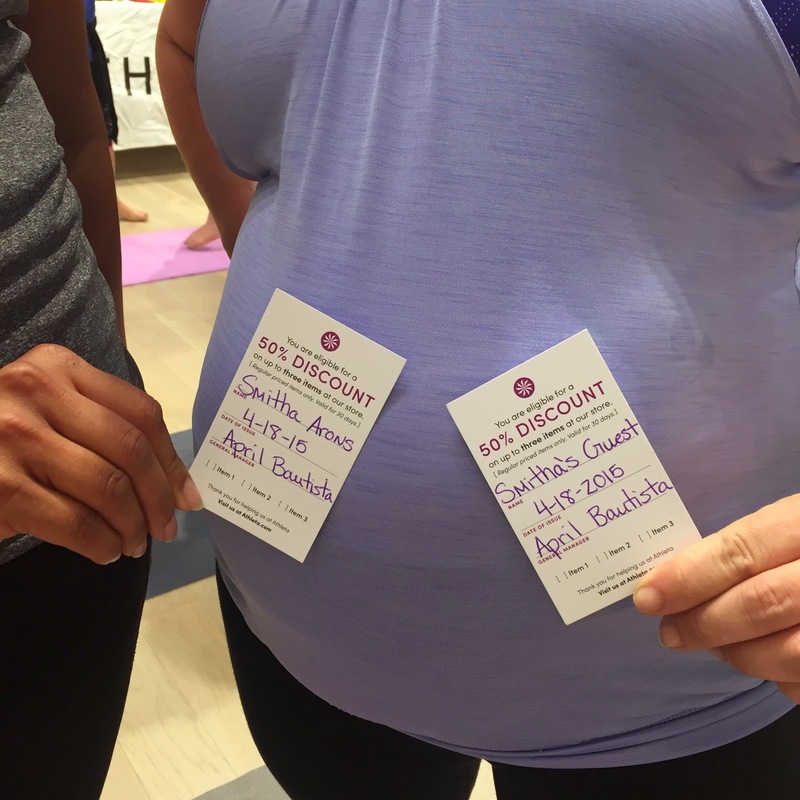 After the run, the preggo Kate and I headed to a private yoga & shopping event at Athleta UTC. If you don't know, Athleta is a high end fitness line owned by the GAP brand of stores. They have super cute clothes. But, I wasn't very happy with their grand opening events. You can read about that experience here. So now, a year later I was invited to participate in a blogger event. Understatement, I was skeptical! BUT YAY! I was so happy and so wonderfully surprised. We were treated like royalty! Check out the food / brunch spread behind me and Carlee! Real Starbucks coffee and yes, super cute pants! 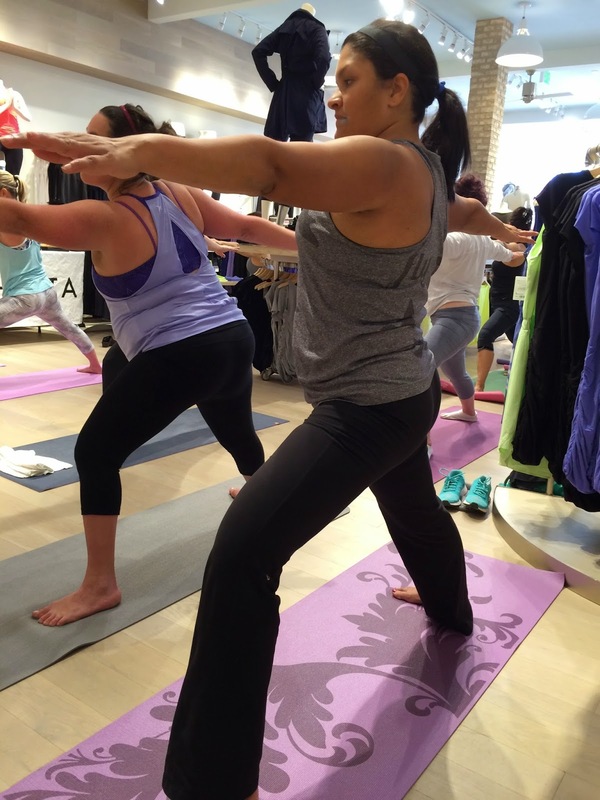 Did I mention that we got a full hour of yoga in the store surrounded by cute clothes?? 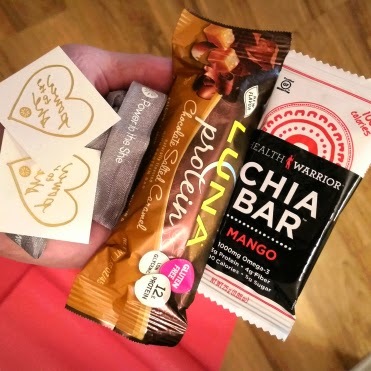 Here is Carlee with the perfect crunch! It was BYOW! 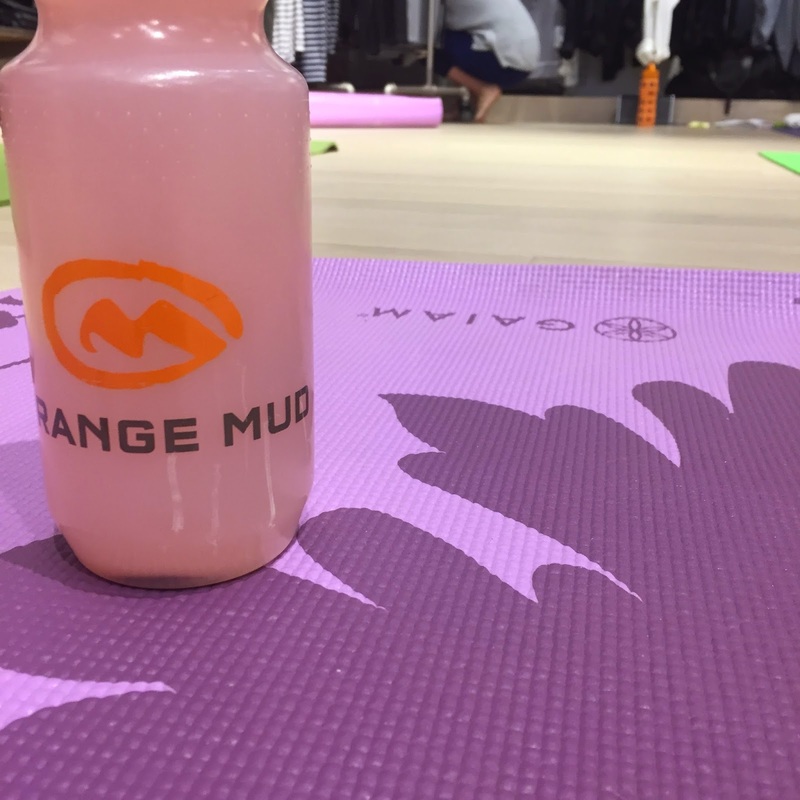 So I brought my Skratch in my Orange Mud bottle! Here are all the fabulous Bloggers who made it out to the event! So many pictured here: Carlee, Melissa, Kate, Nic, Laureen, Roni, Margo, Cynthia, Laura and Nicole. It is always so much fun to spend some QT with some of my favorite people! But remember when I said they treated us like royalty? Well, they did. They gave us 50% off coupons to SHOP til we DROP! Check the coupons out close up near preggo belly! It was so hard to choose what to buy! They have a bunch of cool yoga pants styles! They have bathing suits in all styles and shapes! I ultimately decided I want to get a skirt. 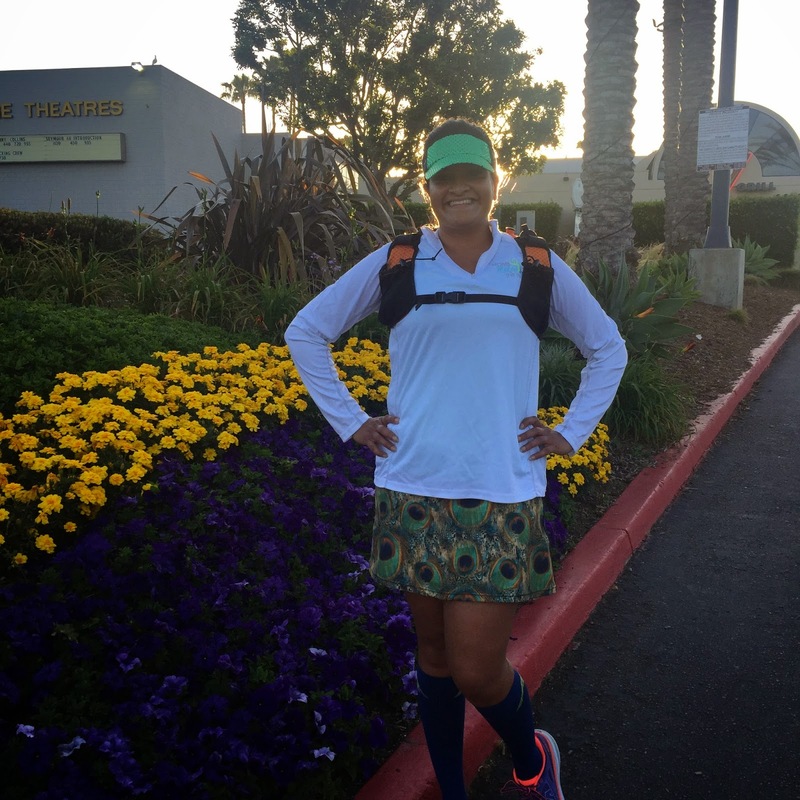 A lifestyle skirt and not a running skirt. A skirt that I can just throw on in the summer instead of shorts. I tried on a few styles and ultimately ended up with this one. It has shorts underneath! I also had some help picking out a rash guard for the summer. All over 50 UPF protection. I ended up picking white which I know seems strange but it goes with EVERYTHING! But the awesomeness of the event didn't end there. We got an Athleta yoga mat and swag bags too! The event was an absolute success because of the ingenuity of Melissa and the hospitality of April and the style of Alex! What an awesome event! They totally redeemed themselves in my book and then some! They really all loved all the pieces they sell and wanted to make sure we did as well. Athleta clothes are definitely quality and will be part of my everyday lifestyle wear from here on out for sure. I am so lucky and blessed to have such an awesome place in my town! 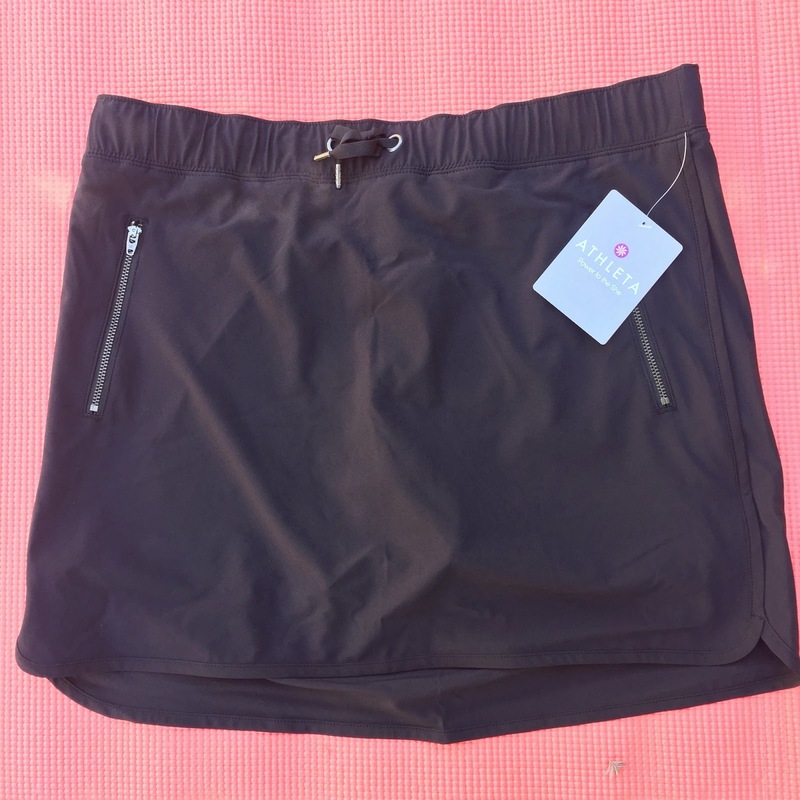 Do you wear Athleta? Are you as clumsy as me at yoga? I am like a steel rod I am so inflexible! Sounds like a fun event. And what a cute skirt! 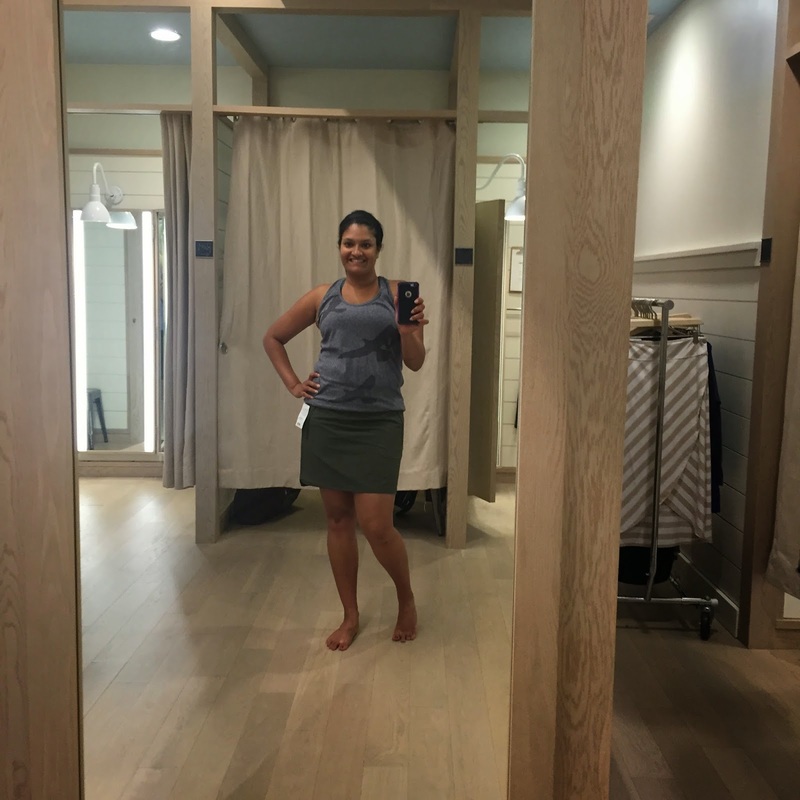 It definitely sparked my interest in Athleta clothing! I LOVE that skirt! I am going to wear it ALL summer! Sounds like a really wonderful event! I've never tried Athleta clothes before but it looks like you got some really cute pieces. And like you I am super clumsy at yoga. My balace is terrible! HAHA! Yeah, even the preggo had better balance than me! My goal in yoga is to lean over and touch my toes- you may have met your match here! I am that unflexible! 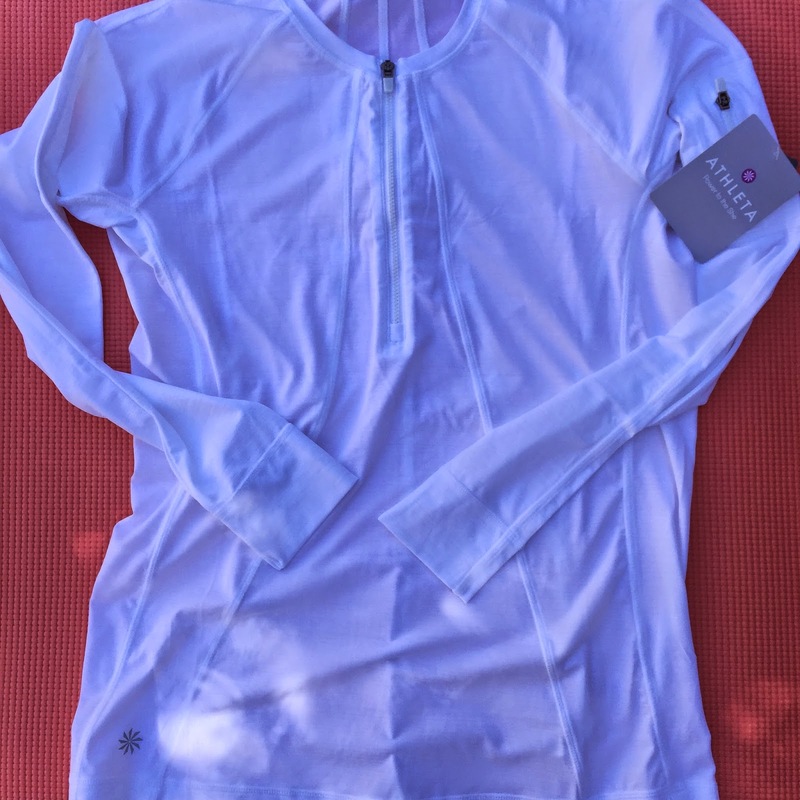 I do love Athleta and the UPF50 line is so important to me- I am not supposed to be outside without in on! I love the everyday skirt you picked out- super cute. What a nice event- rockstars you all are! This sounds like a really fun event! I have to check out Athleta's spring collection. I usually find a few pieces every year that become my "go-tos"
What a fun event. I haven't tried Athleta yet. I must say I LOVE your peacock skirt. 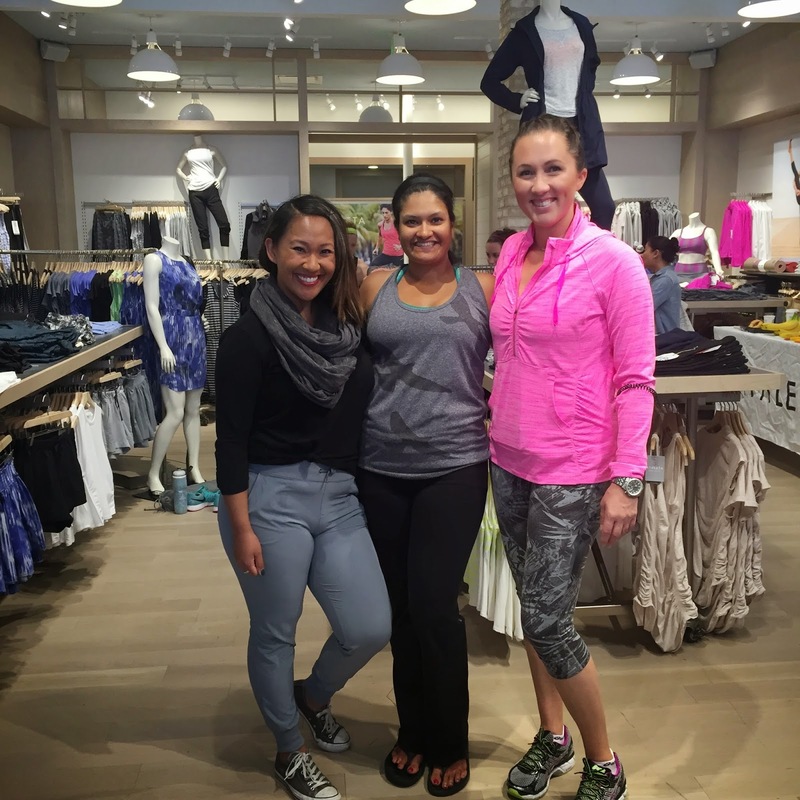 I will have to check out Athleta now after reading this! I am a big fan of Old Navy Active though, their price point is great! This was so much fun! I was sore on Sunday! Wow! Such a cool event. 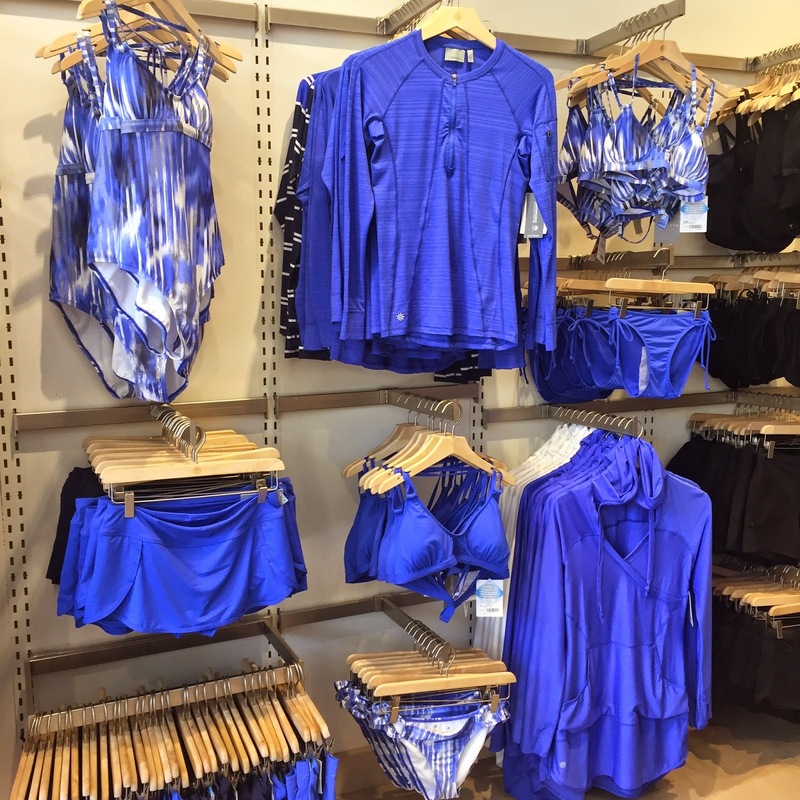 I love Athleta...I need to work on a local store to do this for the DC bloggers!